New rental contracts have risen dramatically in many German places in recent years due to strong influxes and sluggish construction activity. The rent brake should put a stop to this development so that housing in prospering cities remains affordable also for people on normal and low incomes. Although initial successes were attested to the rent brake, empirical findings are increasing, according to which the rent brake is not having the desired effect. 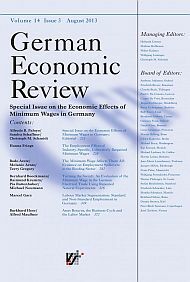 This also applies to the findings determined here: The results of a difference-in-difference estimation show that the rent brake has reduced rents on offer in Hamburg, Berlin and Munich by up to 5%, while no effects are observed in Cologne and Düsseldorf. Nevertheless, the effects are lagging behind the expected effects almost everywhere. The results thus illustrate once again an implementation deficit and they show that no general statements on the effectiveness of the rent brake are currently permissible. However, the rent brake is certainly having a price effect in some regions, even if not to the intended extent.